Mediation is usually the second step of dispute resolution - the first being talking to your landlord. If the first step is unsuccessful then either the landlord or tenant can apply to the tenancy tribunal for mediation. Mediation is where an impartial person helps the two parties come to a solution for their problem. The mediator will allow each person to explain to the other how they see the problem, help them discuss the possible ways to solve the problem and encourage them to choose the best solution for both of them. A mediator is not able to make a decision for the parties, they can only help and encourage the parties to come to their own agreement. The decision is put into a Mediated order which is binding on both parties. 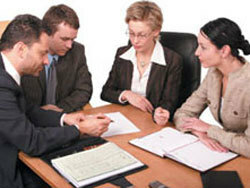 Occasionally, the parties in mediation can not agree upon a decision. If this is the case, then the dispute will go to a Tenancy Tribunal hearing. The tenancy tribunal is a special court set up to deal with unresolved problems between landlords and tenants which they have been unable to settle themselves.A Tenancy Tribunal case normally only comes after mediation between the parties has been attempted and the parties have been unsuccessful at coming to a conclusion. A tenancy adjudicator oversees the case and makes the decision, which is legally binding on both parties. The adjudicator listens to both parties, any witnesses and evidence that either party feels is important and makes a decision based on this information and any provisions in the Residential Tenancies Act. For more information, visit the Ministry of Housing website at www.minhousing.govt.nz.